Delivers contextual traffic data from Google Analytics to editors and content managers without leaving the Content Studio. The application can also automatically inject GA tagging scripts to your site. 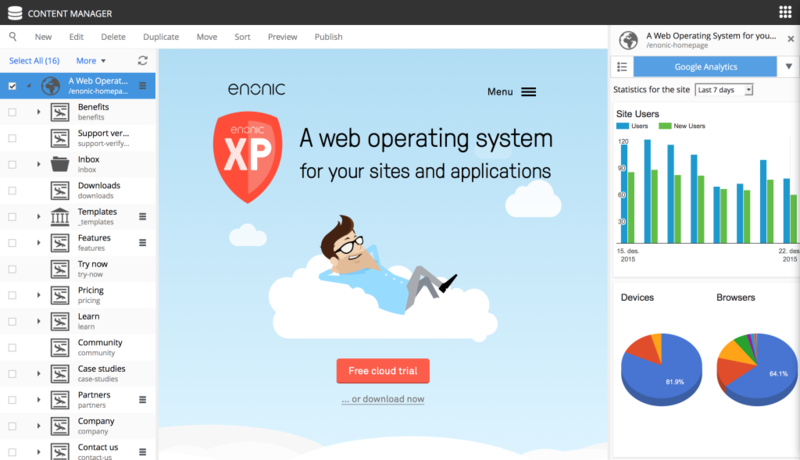 Get 5 days free hosted version of "Google Analytics" application for Enonic XP.